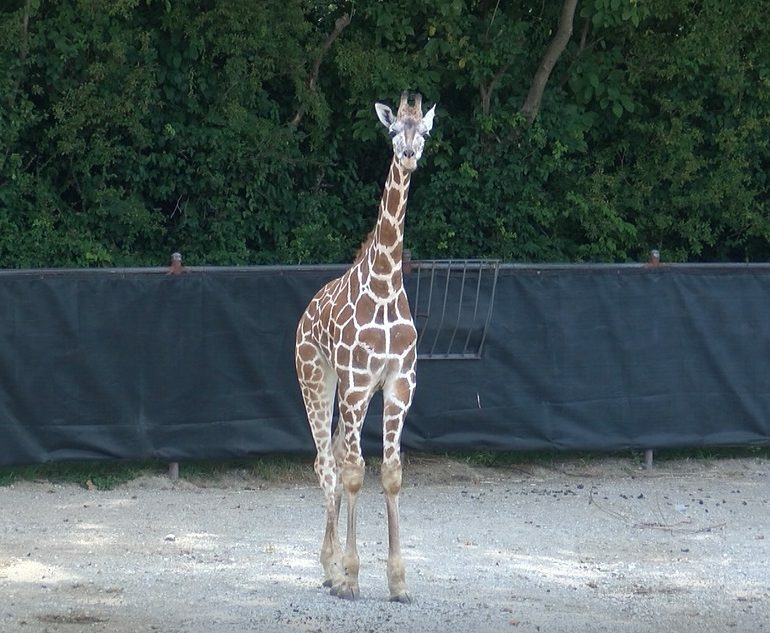 The newest giraffe at the Mesker Park Zoo has officially joined the Giraffe Yard. 10 month old Clementine, arrived at Mesker Park Zoo in June, but went on display Friday. Clementine came from the Dickerson Park Zoo, in Springfield, Missouri. Clementine’s mother is a Rothschild’s giraffe and her father is a Reticulated giraffe. Around six feet at birth, she now stands at about 10 feet tall. Clementine completed the standard quarantine and acclimation period with flying colors. She will now join the Kiah and Kizzie and the Zebras in the Giraffe Yard at the zoo. This move is part of a managed population strategy and coordinated effort the Association of Zoos & Aquariums to enhance conservation of this species in the wild.